Those traitorous traitors at Traveller's Tales have added some of that disgusting dialog that you hear in all these modern games nowadays to LEGO Batman 2: DC Super Heroes. But that's okay, at least they got The Joker's voice actor down. Maybe they'll even get Christian Bale to do his trademark obnoxious gravelly Batman voice. On second thought, that's probably not such a good idea. Personally, it was a little shocking to see what should be a voiceless LEGO character talking. 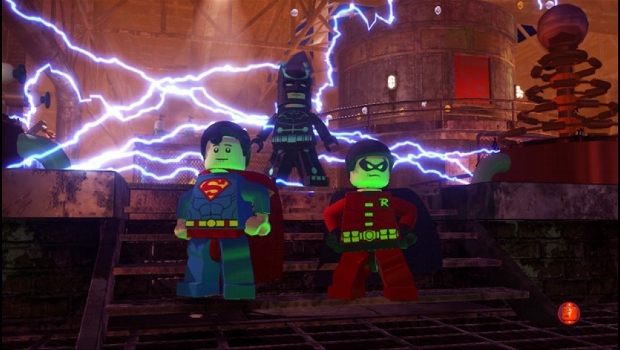 The LEGO games have always been known for their amazing ability to convey humor without any dialog whatsoever, so we'll see how it works out in LEGO Batman 2. Now, the rest of the game is looking spectacular, of course. It'll be cool to see the likes of Superman, Green Lantern, and Wonder Woman partner up with Batman and Robin to take down the legion of LEGO villains that have decided to terrorize Gotham City this time around.